Some people are blessed with naturally slender, lean arms that respond well to diet and exercise - while others struggle to achieve so-called “tank top arms” despite their best efforts. Brachioplasty (also known as an arm lift) is a procedure designed to improve the appearance of the arms by removing excessive skin and fat. Non-surgical methods (such as CoolSculpting®) can be incredibly effective for patients without excess or loose skin - but typically, patients who struggle with their arms complain about both stubborn fat and loose, sagging skin, which will persist even if the fat is removed. Brachioplasty is an outpatient procedure that can be performed on its own, or as part of a body contouring treatment (or series of treatments). During your consultation, Dr. Majewski will work with you to develop a treatment plan that will help you achieve your goals. If excess fat or skin in your arms has bothered you for an extended period of time, and you’re looking to see a dramatic difference in the appearance of your arms, you should consider the arm lift procedure. Brachioplasty is a good option for patients close to their ideal weight who struggle with excess fat and skin in their arms. If you smoke, you will be asked to quit smoking two months prior to treatment as well as during recovery to reduce risk of bleeding. If you do not follow these instructions, your surgery will be cancelled for your safety. The purpose of your consultation with Dr. Majewski is to evaluate whether you are a candidate for brachioplasty (or a different procedure) and to develop a treatment plan that will help you achieve your goals. The consultation is the time to ask Dr. Majewski any questions you may have regarding the procedure, recovery, and expected results. It's very important to understand all aspects of your arm lift procedure. It's natural to feel some anxiety, whether it's excitement for your anticipated new look or a bit of preoperative stress - or both. Don't be shy about discussing these feelings with Dr. Majewski. The cost of the brachioplasty procedure varies depending on the extent of your surgery, and whether you decide to undergo other procedures at the same time. The cost of your procedure will include anesthesia fees, surgical facility costs, medical tests, post-surgery garments, prescriptions for medications, and the surgeon’s fee. When choosing a board certified plastic surgeon for brachioplasty, remember that the surgeon’s experience and your comfort with him or her are just as important as the final cost of the surgery. Most health insurance does not cover brachioplasty, but we do offer CareCredit for all cosmetic procedures. You can request a price quote on our Payment Options page. You might also consider the cost of childcare or other assistance you might need during your recovery period - such as meal delivery, a cleaning service, etc. Although usually not necessary, some patients prefer to delegate some of their household responsibilities during the first few weeks of recovery so they can focus on healing fully. 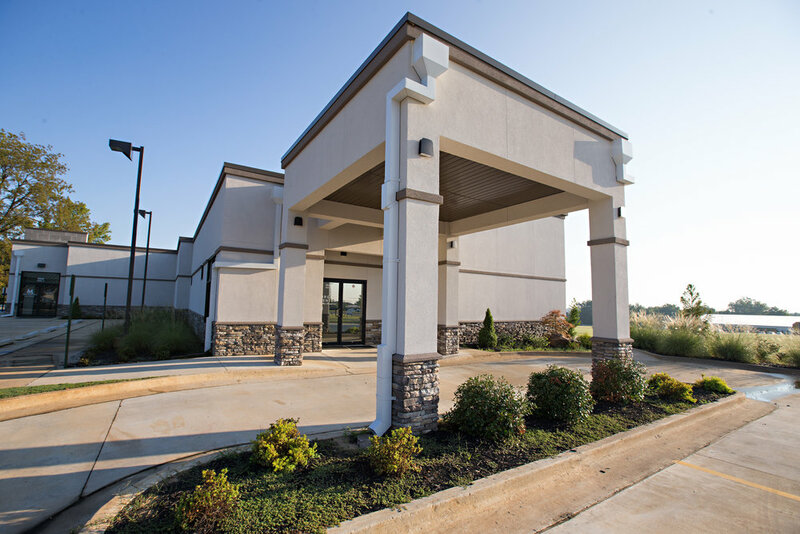 Most of Dr. Majewski’s arm lift cases will take place at our state-of-the-art Surgery Center at the Reserve, located conveniently right next door to our clinic. Medications are administered for your comfort during arm lift surgery. The choices include intravenous sedation and general anesthesia. Dr. Majewski will recommend the best choice for you. Incision length and pattern during arm lift surgery depend on the amount and location of excess skin to be removed, as well as the best judgment of your plastic surgeon. Incisions are generally placed on the inside of the arm or on the back of the arm, and may extend from the underarm (axilla) to just above the elbow. Excess fat may be directly excised or treated with liposuction. If you have a significant amount of fat in your arms, you might first undergo liposuction of the arms, followed by a second procedure to remove excess skin and fat a few weeks later. Depending on your specific condition, incisions may be more limited. Then, underlying supportive tissue is tightened and reshaped with internal sutures. Your incisions will be closed either with absorbable sutures, or stitches that will be removed within one to two weeks following your arm lift. Once all excess skin and fat have been removed and the skin has been smoothed over the new contour of your arm, the incisions are closed and recovery begins. Immediately following your surgery, dressings or bandages may be applied to your incisions, and your arms may be wrapped in an elastic bandage or a compression garment to minimize swelling following surgery. A small, thin tube may be temporarily placed under the skin to drain any excess blood or fluid. You will be given specific instructions on how to care for the surgical site and drains, medications to apply or take orally to aid healing, specific concerns to look for, and when to follow up with your plastic surgeon. Where will I be taken after my surgery is complete? What medication will I be given or prescribed after surgery? Will I have dressings/bandages after surgery? When will they be removed? When can I resume normal activity and exercise? When do I return for follow-up care? After the surgery, you’ll be asked to wear a compression garment (usually an athletic long-sleeve shirt) for 2-4 weeks. Arm lift recovery typically lasts several weeks. Before scheduling your surgery, think through what time of year makes the most sense for you to undergo this procedure. If you typically get summers off of work, then summer might be a great time for you to recover from your surgery. If your work schedule is less flexible, you might consider getting surgery around a holiday or other break - such as around Thanksgiving, Christmas, or spring break - when you will have family around to help you as you recover. Weeks 1-2: During the initial recovery phase, you can expect to experience some pain, discomfort, swelling, and bruising. Pain medication will be prescribed to help alleviate any pain and discomfort during arm lift recovery. Be sure to drink a lot of water during this time as pain medication can be dehydrating. You may be advised to sit and sleep with elevated arms for the first few days after surgery, to reduce swelling. You will also be directed on how to change bandages and keep incisions and surgical drains (if placed) clean. You’ll want to take it easy to allow your body to heal - but gentle walks a few times a day are encouraged, to help you avoid blood clots. Consult with Dr. Majewski for any guidance regarding activity and when you can expect to resume regular activity. Weeks 3-4: Many patients begin to feel somewhat recovered as early as 10 days after surgery, though some may require a full two to three weeks to feel “normal” and return to work. By this point, you should be able to manage pain with over-the-counter (non-prescription) pain medications. During this time, even though you might feel up to it, it's important to avoid strenuous exercise and heavy physical activity. Light walking is recommended to encourage blood circulation and reduce the risk of blood clots, which can occur from prolonged bed rest. Weeks 5-6: Most patients are fully recovered about six weeks after arm lift surgery and may resume strenuous activity with doctor approval. By six weeks, swelling and bruising is generally resolved and many patients will see significant improvement in the appearance of their upper arms, though it may take up to three months after surgery to see full results. After arm lift surgery, it's important to follow a healthy diet and resume exercising when approved by your doctor, to ensure long lasting results. You should see smoother, tighter arms almost immediately following your procedure, although initial results will be obscured by swelling and bruising. Once this swelling subsides, you’ll be able to enjoy the full results of your surgery. An arm lift does involve a larger incision - sometimes two. With proper scar care, scars will usually fade as much as they ever will, after about one year. It is important to begin scar care as soon as the wound closes to ensure the scars fade as much as possible. This is a trade-off, but most patients feel these are small compared to the large improvement in their self-confidence after surgery. Dr. Majewski will provide his recommendation for a scar gel that will encourage your scars to heal quickly. As with all scars, keep your scar out of direct sunlight. Always apply sunscreen if your scar will be exposed to sunlight - the SkinMedica Essential Defense Mineral Shield Broad Spectrum SPF 35 formula is specifically formulated for post-procedure sun protection. 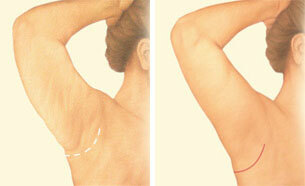 The results of arm lift surgery will be long-lasting, provided that you maintain a stable weight and general fitness. As your body ages, it is natural to lose some firmness, but most of your improvement should be relatively permanent. Book your consultation with Dr. Majewski using our online scheduler. Join our newsletter for news about upcoming events, exclusive offers, and the latest in aesthetic medicine.